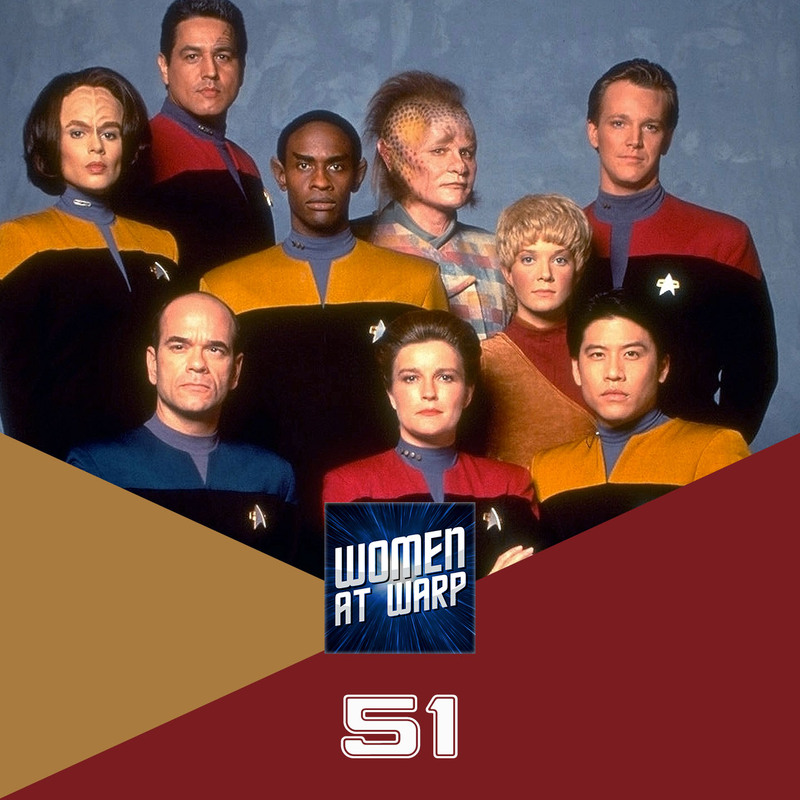 Voyager introduced us to the Delta Quadrant, several new alien species, and of course Star Trek’s first woman captain to lead a show. The crew is joined by Charlynn Schmiedt to discuss the stories, characters, and themes in Season 1. Thank you for such a wonderful episode! I can always count on Women at Warp to shine a light on the good, the bad, the ugly, the problematic, and the hilarious of my beloved Star Trek. Today, the light was especially bright on the hilarious and in these dark days, I really, really needed that. Plus, I’m pleasantly surprised to say Voyager has recently risen to be my favorite part of the franchise. I’m always happy when it receives coverage, which never seems to be often enough for me. During the Star Trek Cruise, Ethan Phillips, talking about his character Neelix described him as “opportunistic” and honestly I never thought about that, and today while I was listening to this episode and remembering how annoying he was at first (but later grew on me, a lot) I think that I can see that part now, he was indeed opportunistic besides annoying, and maybe that’s what bothered me. I think Ethan Phillips did an excellent job, nowadays Neelix is one of my favorite characters.